Snow blanketed forests filled with the sights and sounds of the Wisconsin North Woods is what allures many Snowmobilers to Mercer Wisconsin. Boasting nearly 200 inches of snow annually and over 450 miles of meticulously groomed trails throughout the county and great reasons to set your sights on this beautiful county for your next riding adventure. 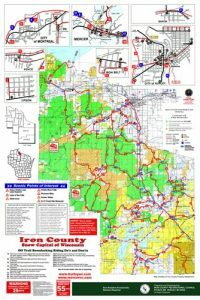 Riders can also experience the mining heritage of days gone by with many remnants of how Iron County Wisconsin received its name. 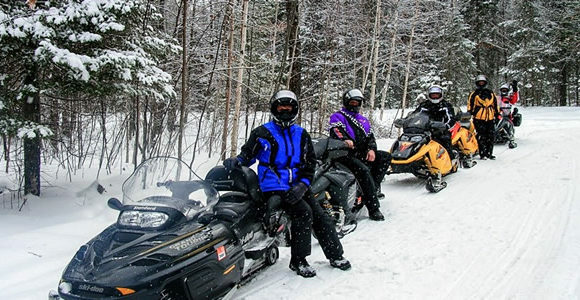 Mercer Wisconsin, is a popular snowmobile hub located in southeastern Iron County, is a great place to begin your riding adventure. Mercer is the destination of choice for many riders wishing to enjoy a delicious meal or rest after a long day on the trails in one of many comfortable lodging accommodations. Trails of interest are numerous and filled with wonderful scenery.. Mercer WI is an excellent choice to spend a week or weekend exploring all this area has to offer. Snowmobilers will be able to experience fine dining and great accommodations to compliment their winter trail adventures.